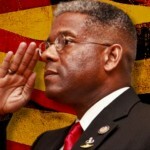 Former Florida Congressman Allen West. In the New Testament, 1 Thessalonians 5:2, New International Version (NIV), states, “for you know very well that the day of the Lord will come like a thief in the night.” Of course, this refers to the second coming of our Lord and Savior Jesus Christ and that we should all be ready, as we know not the time of Christ’s return. It’s a clarion call to have one’s spiritual house in order. It’s just like in combat, where you must be most aware in the hours of darkness, prepared for what could come — hence the practice of “stand to” because you want full readiness in those early hours of the day. Then there are the times when the thief indeed comes at night to steal away that which defines our Judeo-Christian faith heritage. Such happened in the late night hours in Oklahoma City recently. The granite monument of the Ten Commandments has been removed from the Oklahoma State Capitol grounds and moved to the Oklahoma Council of Public Affairs’ offices. A contractor removed the monument around 10:30 p.m. on Monday. It was immediately installed at its new location. The Oklahoma Highway Patrol had increased security around the monument earlier Monday, and barriers were erected to keep visitors from getting close to it. Estus said the decision to remove the monument under the cover of darkness was made to avoid disturbing workers at the Capitol and to keep protesters from demonstrating while heavy equipment was being used to detach the two-ton monument from its base. I find the words of Pastor Prescott rather disconcerting. Should we remove the Declaration of Independence from public property? After all, it declares our unalienable rights are endowed by our Creator. What about the full face of the man who received the Ten Commandments from God, Moses? Should his image not be shown in the U.S. House of Representatives — public property? The Supreme Court already heard and decided a case involving the Ten Commandments’ display on the “public property” of the Texas state capitol — the Ten Commandments stayed. And what about the official motto of the United States, “In God We Trust”? Those words are displayed above the Speaker of the House rostrum — public property. Shall those words be removed? Sorry, but I have to ask, what type of pastor is this Prescott fella? 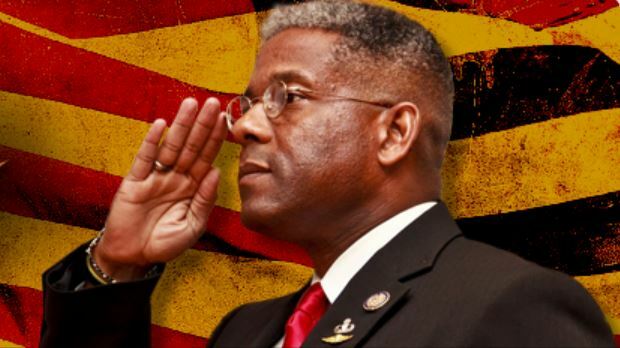 He certainly doesn’t seem cut from the same cloth as the infamous “Black Robed Brigade” of our Revolutionary War. Why would a Christian minister bring forth a lawsuit against the very basic rules of law that formed western civilization? Why would a Christian pastor join in on the false narrative that public display of the Ten Commandments is controversial? The monument was not purchased by public funds. And it’s not a violation of the concept of separation of church and state — which doesn’t mean the eradication of our Judeo-Christian faith heritage from the public square. Jefferson wrote in his personal letter to the Danbury Baptist Convention — how very ironic — that we wouldn’t have a head of state who’s also the head of church in America. That’s the essence of the establishment clause. But the real crux behind Jefferson’s intent was to not allow the level of religious persecution that drove people from England to the shores of America. Yet, it seems Pastor Prescott is not cognizant of that intent, nor the real history of separation of church and state. The Ten Commandments have historical, legal and spiritual importance for the United States — after all, the 56 signers of the Declaration sought Divine providence. I’ve given a speech for the Oklahoma Council for Public Affairs (OCPA) and glad to see this monument found a new home. It pains me to know, however, that we removed God’s law like thieves in the middle of the night. I’m quite sure there are those, such as the Freedom from Religion Foundation, who believe they’ve achieved a great victory. I think not. If anything, the constant assault against Christians and our Judeo-Christian faith heritage and values is causing an unseen groundswell. At the end of the movie “War Room,” the matriarch character gives a closing prayer and calls upon the Lord God to “Raise them up Lord” — and such will happen. We have the Ten Commandments being removed under the cover of darkness because they are controversial. What if Christ had come as a “thief in the night” Monday evening in Oklahoma City? Gotta ask yourselves America, are we ready if He comes like a “thief in the night”? I close with the Ten Commandments, which I’m proud to display in this public space. Monday night in Oklahoma City, we failed the test.